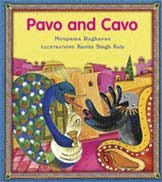 Kavita Singh Kale made our lips curl with the Jalebi Curls illustrations, gave flight to Pavo Cavo and granted Brahma's Butterfly more levity. 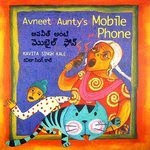 Avneet Aunty's Mobile phone would not be so vivid in the reader's mind but for the artist's rendering of the story, which incidentally, she herself wrote. Kavita's work touches various facets of art, design and film -as her studio-The Underground Worm based in Mumbai, reflects. 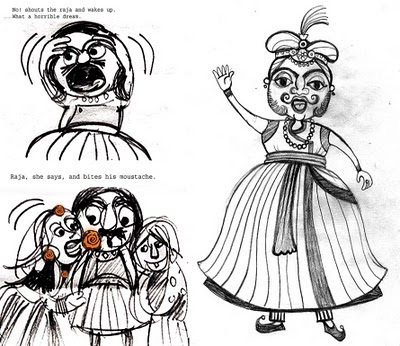 Read on to know what this award winning film maker, illustrator, writer has to say . . .. . I have been drawing and painting as far as I can remember my childhood days but I have been professionally illustrating for about ten years- starting from Hindustan Times way back in 2000. Illustration is something that I do out of passion. I would rather say that it was just happening by itself. I got serious when Nina Sabnani who was then the faculty of NID recommended my work to Tulika Publishers and it is from this point that a whole journey of doing books for children started in full swing. Drawing and writing go hand in hand and ideas for me either come as words or visuals. So the process is very seamless. As a film maker I started seeing book illustrations as painted storyboards of animated films. If funds are provided I would love to make my books into short animated films. People approach me for the style of work that I have done in the past and I have been given complete freedom to visualize, while maintaining the frame work of the story. The freedom that is given to me, to interpret in my own manner gives a different dimension compared to what the writer or publisher has foreseen. Often writers write to me about the unexpected surprise elements that I add in my illustration. 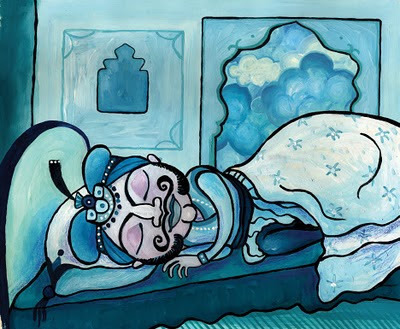 So the relationship between the writer and the illustrator is very symbiotic- benefiting the readers. The book Jalebi Curls is a combination of real and dream world expressed in few words. So it was fun- cracking it visually. Constantly learning and adapting to the changing trends is something that keeps me evolving as a person. This enables me to work in inter-disciplinary areas with in visual art and probably it may go beyond this area. The ultimate inspiration for me is by travelling to different places, meeting different people and understanding different cultures while enjoying the local food. Travelling is an addiction! It is like rebooting my mind to start off fresh. It is when I do photography and lots of drawings. When a story is given to me, I read it and do some research. Several images strike in the head and I visualize the rough layout. I pay lot of attention to the character design but the real fun begins when I start doing colouring because my main process starts there. There are many artists who have no prior art background and do some amazing work. But formal education enabled me to evolve with other students of my class. The interaction with them gives you a space to grow in a dedicated period of time. I had an art background after graduating from College of Art, New Delhi, majoring in painting. But I took writing seriously in National Institute of Design while doing script writing and visual scripting for short films. It was during this time that I also wrote articles for magazine in NID. The years in art college and design institution gave me better understanding of art and design. One day I would like sponsor very experimental books to encourage youngsters and support innovation in this field. How is illustartion targetting children different ? Illustrating for children is like trying to see things from their point of imagination and their interpretation of story. Ideally I try to go back in time when I was a small girl and the way I saw the world around me in the past. I illustrate keeping my nostalgia as a base. I always find a way around to avoid representing violence even if it is part of the story. After attending some really nice workshops on primary education and storytelling for children with Subir Shukla, Marc Levitt and Lisa Goldman, I am more conscious of what I should be visually depicting and that’s why I spend a lot of time doing research before starting drawings. Do you think you will do a complete picture book for kids sometimes with no words? Like Flotsam? I would love to do something in this format and in fact, I have already pitched for a book based on only visual narration. I have taken a couple of workshops organized by Tulika for children in Mumbai. The sessions were very spontaneous and interactive. I love the kind of stories which comes out of them. It is quite refreshing to see the children being so honest and innovative. It is this nature that we need to make them continue as they grow to choose their respective directions in life. Is there a lot of opportunity for amateur illustrators/ writers now? There are several opportunities out there but one has to do some real research. It is important for one to look for opportunities but should also try to create opportunities. By creating opportunities I mean pitching ideas and concepts to people- provided the writings are registered in the Writers Association of India. Usually pitching ideas may take time and effort but it is worth it. Also now blogs also are a good way of getting identified. Just do what you enjoy the most and put constant effort regardless of the result. With the advent of new media in our daily lives, if one is talented- it is visibly seen immediately. So we live in this positive world and I see a bright future for aspiring writers/ artists. 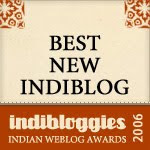 Kavita's blog is a treat. Her work touches various facets of art, design, film, books- Tulika, IL & FS and even EVS text books, the Avehi Abacus project, as her studio-Underground Worm based in Mumbai, reflects. And Kavita was the first illustrator to comment on my review at ST.
Kavita, Thanks for your wonderful thoughts. Your blog rocks. Enjoyed it immensely. I look forward for your wordless book! Artnavy, Thanks for bringing her to ST.
Kavita is awesome, yes. As is ArtNavy, who is clearly one extremely awsome person. Nice interview. Esp. since, as I have mentioned on Twitter already, it offers a rare glimpse of a Tulika book in the making. Thanks for your wonderful support and encouragement! The Tulika bird does spread joy! Tnx. Kavita- Thanks for doing this and for your art! Her blog is indeed a visual treat. ST yu are expanding and enveloping so much creativity in to yr shelters...way to go! Every piece on the blog is amazing. Liked the pencil sketches alot. Thanks Art for this interview. That was a treat - reading this post as well the blog! Thanks Kavita and Art. Fascinating to get into the mind of such a talented, multifaceted person! Thanks Art. Kavita...loved the phrase you used...about rebooting. I'm going to remember that! As I am going to spend some time visually drinking in your blog! I will keep you posted with my new books, art shows and films. Thanks again! I read it, and I am sending the link to friends ! Please continue to give us so beautiful art. I enjoyed this interview. Especially the part where Kavita says that she reads a story and different visuals flash through her mind. Oh the joy in making something!! !